To best assist my clients with complex financial decision making, I believe I need to address the multifaceted realities of life that underscore the financial facts. My experiences as an entrepreneur co-founding Anton LeMieux, a financial planner, and an investment advisor have combined to guide me in identifying the unique financial needs of each individual, family, family-owned business, and non-profit organization that I serve. Working alongside my clients to more thoroughly understand their needs, I can create the best plan to meet them. I know that the realities of life can impact our personal goals and, potentially, our overall financial outlook. After a reoccurrence of Liposarcoma, I lost my left leg to cancer. Having faced such a challenge, I don’t shy away from conversations with clients that might become more personal, or even emotional. I know these discussions and the details they provide are important to the success of the work we do together. In the process of designing a financial plan, my clients and I discuss their own realities. It’s this depth of conversation that helps me create their best holistic financial plan and bring to it the strategic value and client advocacy that our firm was built to offer. John has been guiding clients through the complex world of financial planning and investing since 1993. He is a CERTIFIED FINANCIAL PLANNERTM, and a Certified Divorce Financial AnalystTM. 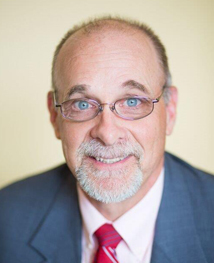 Using his expertise and experience, John played a lead role in establishing the practice of “collaborative divorce” in Maine, where both parties involved are advised by legal counsel, a neutral financial expert and a mental health professional. John is a founding member and serves on the board of the Maine Collaborative Law Alliance. 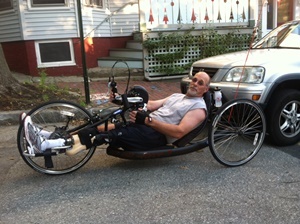 Also, John is a board member of the Institute for Family Owned Business and the Amputee Association of Maine. John graduated from Lyndon State College and earned an MS from Indiana University. John and his wife, Cindy, live in Portland and enjoy family, friends, and athletic activity of all kinds. In fact, since John’s surgery in 2012, not only has he managed to bring his golf handicap back to where it was, he also has become an avid handcyclist. John LeMieux is proud to have been recognized as a Business Experience advisor for 2018—a distinction based on annual production that places him among the top 47 percent of advisors affiliated with Commonwealth Financial Network.